Canon Solutions America, Inc., a wholly owned subsidiary of Canon U.S.A., Inc., today announced that IWCO Direct, a nationally recognized and leading provider of direct marketing solutions, is the first U.S. company to install the new Océ VarioPrint® i300 and Océ ImageStream™ 3500 inkjet technologies. The two game-changing products were unveiled for the very first time during Canon Solutions America’s Future of Inkjet Customer Event held in Minnesota on June 24, 2015. 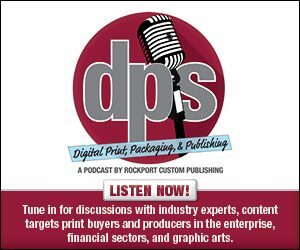 The installations come at a pivotal time in the industry as the inkjet revolution continues to gain momentum. Through a relationship that has yielded successful results and forward-thinking innovations, the two industry giants have fostered a partnership that’s been mutually beneficial for nearly a decade. These latest installations serve as evidence that the future of inkjet begins with Canon Solutions America, IWCO Direct, and other companies embracing the newest technology advances. With the help of Canon Solutions America and an unwavering business strategy embracing the advantages of a digital workflow, IWCO Direct has transformed from a local, family-operated company to a national provider of marketing services. As the Minnesota-based company maintains its leadership position, these latest installations mark a turning point as it will now boast a full-color sheet-fed inkjet arsenal with unprecedented media flexibility. Additionally, as the only entity in the U.S. with an Océ ImageStream 3500, the continuous feed inkjet press built to print on standard offset paper, IWCO Direct can now offer its customers the freedom of choice between digital inkjet or conventional printing technologies depending on job requirements without having to stock different paper types for each technology. The landmark installations were unveiled during Canon Solutions America’s Future of Inkjet Customer Event, which took place at the IWCO Direct facility in Chanhassen, MN. Throughout the day, guests were given the opportunity to hear from industry experts as well as executives from IWCO Direct and Canon Solutions America while being some of the first to see the Océ VarioPrint i300 and Océ ImageStream 3500 running live in a professional production facility.